The increasing availability and reliability of satellite remote sensing products [e.g., precipitation (P), evapotranspiration (ET), and the total water storage change (TWSC)] make it feasible to estimate the global terrestrial water budget at fine spatial resolution. In this study, we start from a reference water budget dataset that combines all available data sources, including satellite remote sensing, land surface model (LSM) and reanalysis, and investigate the roles of different non-satellite remote sensing products in closing the terrestrial water budget through a sensitivity analysis by removing/replacing one or more categories of products during the budget estimation. We also study the differences made by various satellite products for the same budget variable. We find that the gradual removal of non-satellite data sources will generally worsen the closure errors in the budget estimates, and remote sensing retrievals of P, ET, and TWSC together with runoff (R) from LSM give the worst closure errors. The gauge-corrected satellite precipitation helps to improve the budget closure (4.2–9 % non-closure errors of annual mean precipitation) against using the non-gauge-corrected precipitation (7.6–10.4 % non-closure errors). 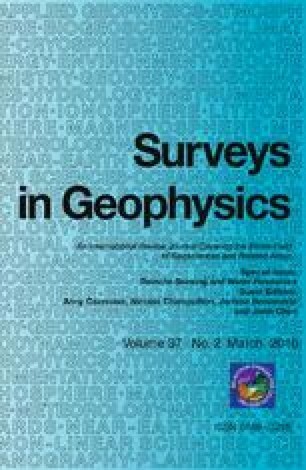 At last, a data assimilation technique, the constrained Kalman filter, is applied to enforce the water balance, and it is found that the satellite remote sensing products, though with worst closure, yield comparable budget estimates in the constrained system to the reference data. Overall, this study provides a first comparison between the water budget closure using the satellite remote sensing products and a full combination of remote sensing, LSM, and reanalysis products on a quasi-global basis. This study showcases the capability and potential of the satellite remote sensing in closing the terrestrial water budget at fine spatial resolution if properly constrained.